Each of these cosmetic treatment options covers up, diminishes, or reverses unflattering imperfections such as discolored, pitted, cracked, or misaligned teeth. Your smile makeover plan can utilize one of these treatments, or include a combination for more significant improvement. It’s important to our team that you to feel well taken care of when you see us for treatment. Our patients enjoy Dr. Lustiger’s warm and caring personality, which helps ease any of their anxieties about treatment, while also supporting an environment of trust. Additionally, his vast experience and education helps to increase your confidence in our work. Dr. Lustiger performs a variety of cosmetic dentistry treatments conveniently in our office. At our practice, we utilize quality materials and state-of-the-art equipment and instruments for all our procedures. Our approach is one that puts an emphasis on long-lasting results, so we prefer a conservative method when restoring your smile. We first take digital impressions to help inform our treatment plan. We send all images and impressions to a trusted local lab where they create a customized restoration designed to provide you the best look and fit. If you are a candidate for crowns, bridges, and veneers, we use porcelain, a strong, tooth-colored material designed to provide you both beauty and stability. Patients who’ve undergone dental implant surgery can be fitted for one of these great restorative options, providing permanence as well as an aesthetically appealing smile. Our office’s most sought-after procedure is teeth whitening. 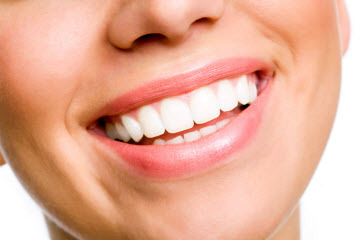 You have the freedom to choose from in-office and take-home options to effectively whiten your teeth by several shades. We use Boost® by Ultrasound for either convenient option. For years, Dr. Lustiger’s attention to detail transforms the smiles of our patients who visit Dental Professionals of Jersey City. If you have questions about the benefits of having a smile makeover in Downtown Jersey City, Exchange Place, or Harborside, call our office today to set up an appointment.